Sometimes, we need a break from the kitchen. Whenever I'm not in the mood to cook, the best solutions are found in ordering takeout. Not only is it the most convenient option, but you’ll also be supporting your local friendly restaurants in the area. In this day and age of delivery apps, we have the power to order our favorite meals right from our fingertips. However, the trend has become so popular that sometimes you don't know where to start or who to trust. One service that I've tried out most frequently is Caviar. I love their service specifically for their punctuality, tracking features that lets you know where your delivery is located at all times, and accurate photos of all restaurant menu items, so you know exactly what you're getting. When I first tried it out, I had a small little picnic at Central Park and ordered food using the Caviar app right to the park. It was a great way to enjoy a nice sunny day without the hassle of prepping. Quality Barbeque right at your door. From chicken to steak, their meat is delicious and tender to the bone. If you’re looking for sides, try their Mac n’ Cheese. You won’t regret it. Inspired by a family restaurant in Barcelona, Boqueria is a Spanish and Tapas restaurant that's known for their savory snack bites. I tried out their meat platter, Parillada, and their seasoned shrimp dish, Gambas al Ajillo, which was absolutely delicious! No picnic is complete without treats! The Doughnuttery is the best option if you’re in need to satisfy your sweet tooth. They sell by batches of 6, 12, 25, or more, and are made to order. They might be mini, but they are totally worth it! One I haven’t tried yet, but plan to very soon is BEC. It’s THE optimal choice for a picnic. 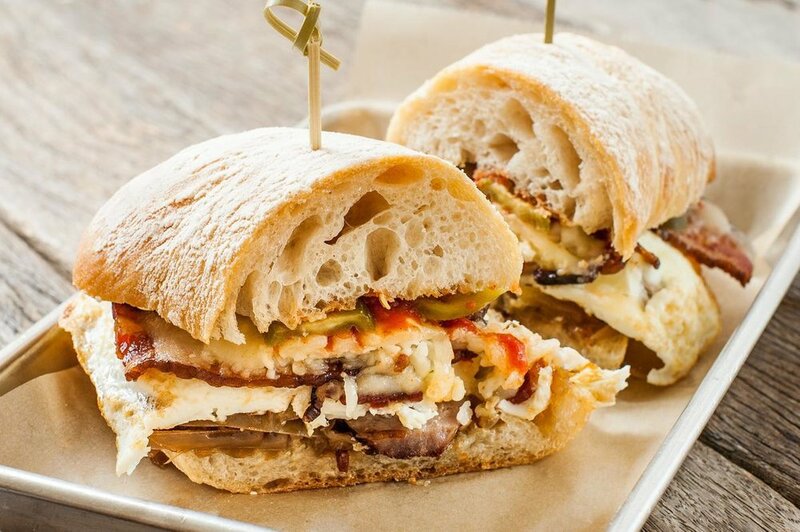 Bacon, Egg, and Cheese offers all the classics and more when it comes to sandwiches. Please note: All restaurants listed in Caviar have specific delivery times, sometimes just for lunch and dinner. Keep this in mind when you’re making your order. You can also schedule for later, if necessary. Caviar has a great selection of vegetarian and hearty options as well. Currently serving 26 areas within the United States and counting, they provide delivery services for different types of restaurants so they can suit everyone's tastes! Try the Caviar app today or visit their website and use my discount code NKENGE to get a free delivery off your first order of $25 or more! What's your usual takeout preference? Chinese? Mediterranean? Have you ever tried out Caviar? Comment your answer below! This post is in collaboration with Caviar.